A man has been buried in a beer bottle-like casket. 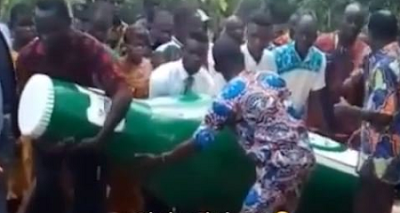 According to the news shared on social media about the burial, choristers were singing as the casket of the man was been carried to the burial site. The platform that shared the news, however didn't disclose the reason he was buried in such a casket or may be the late man requested for it.